I’ve been working on something a bit different for the last few days. I have always wanted to learn to make brooms. There really is nothing like a nice handmade broom. I decided to start small and work out any issues I may have. I have made two so far. This is the first broom that I made. It is about eight inches long. It has a corkscrew willow handle that has been hand waxed with bee’s wax. 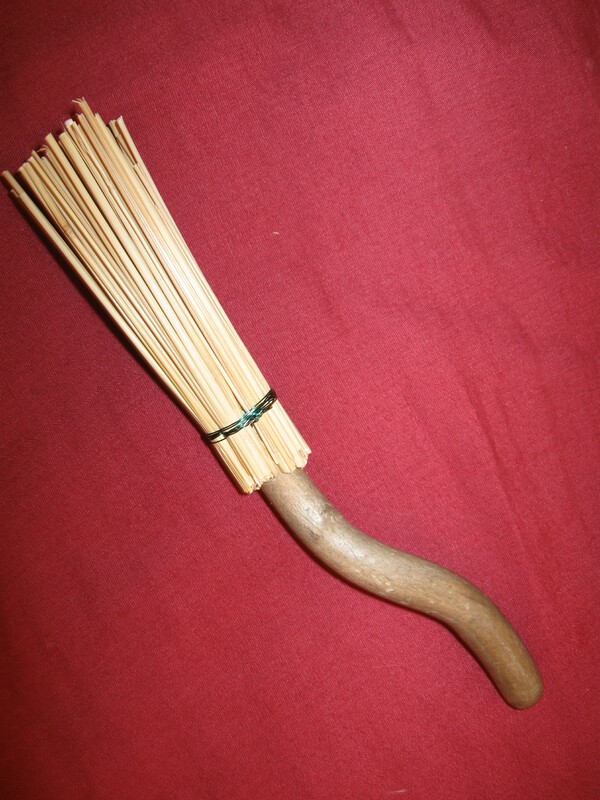 The bristles are attached with a nylon false sinew. I am super happy with the way it turned out. Broom Two is a bit under seven inches long. 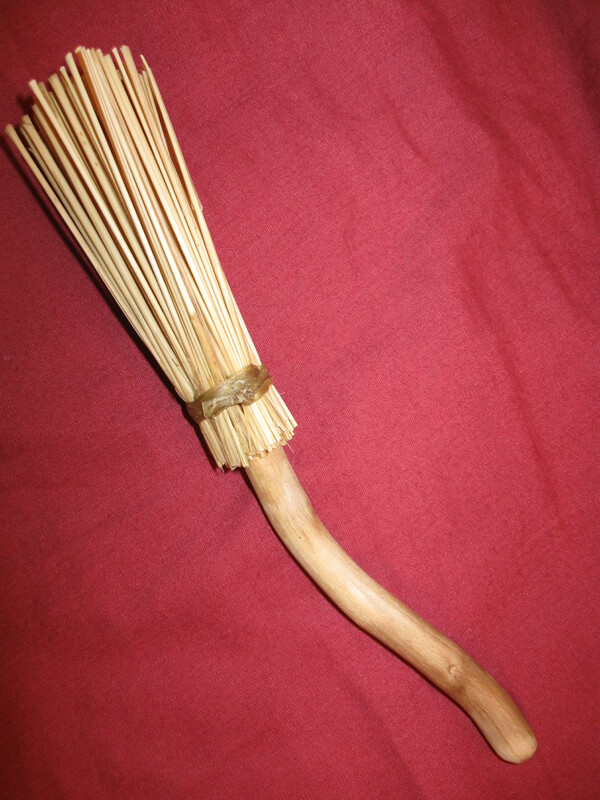 The handle is corkscrew willow with an acrylic wash applied before waxing with bee’s wax. I learned a good lesson-take off the rings before rolling the handle between your hands to warm the wax. The bristles are attached with a decorative green wire. While this broom is really cute, I will not be using the wire again. It is much more difficult to work with and does not seem to hold the bristles as tightly as the false sinew. Making the little brooms has been a lot of fun. I will probably make some more. I also think I am getting close to ready to make full sized decorative brooms.